The NHL Network released their top 20 centers last Sunday in a special series ranking top players in their position. Here I will give you the top 10 centermen based on their statistics, play-making, and success on the ice and compare it to NHL Network’s list. The picture below is the NHL Network’s top 20 centers. The 25-year-old was placed number seventeen on the NHL Network’s list. Based on last year’s performance he deserved to be in the top 10. Last season Karlsson led the league with a plus-minus (+49) and finished third in goals scored (43). His individual success helped the Golden Knights win the Pacific Division and compete in the Stanley Cup Final in their inaugural season. Before being selected in the expansion draft, he had a career total of 18 goals, 32 assists and 50 points in 183 NHL games with the Columbus Blue Jackets. The Golden Knights found a diamond in the rough when they selected him in the 2017 Expansion Draft. Expectations are now higher for him after signing a one-year, $ 5.25 million dollar contract. He could soon be a top center in the league if he continues last seasons form. Some can argue that Kuznetsov should’ve won the Conn Smythe over Alex Ovechkin after leading the playoffs with 32 points. The biggest moment for him last season was his Game 6 overtime goal against the Pittsburgh Penguins that helped the Capitals advance to their first Eastern Conference final since 1998. Watching his creativity and playmaking ability earned him the nickname “The Wizard”. The 26-year-old also had the best regular season with a career-high in goals (27) and points (83) and hopes to continue that form of being a true play-making center. His second season in the NHL was set-back due to injuries but he still had an impressive season with 63 points (34 goals, 29 assists) in 62 games. Towards the end of the season, he put up 14 points in the last 10 games. 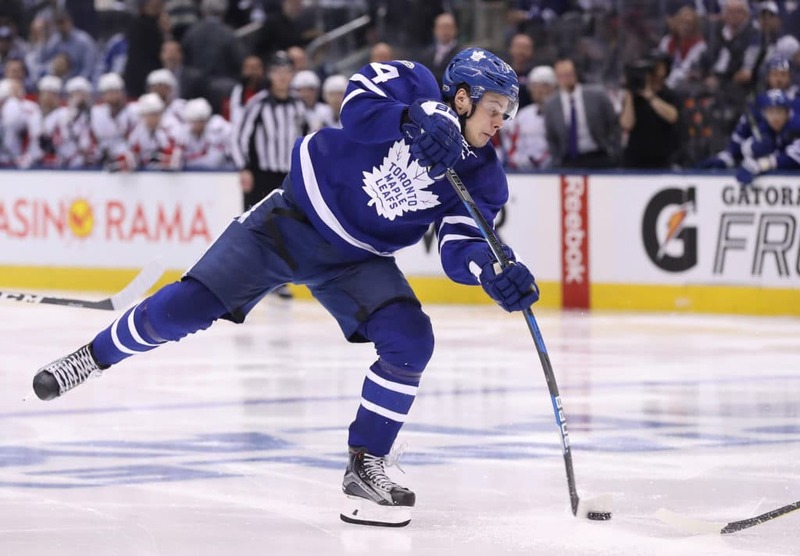 Matthews is hoping to secure a long-term deal with the Leafs soon and hopes to gel with new teammate and fellow centremen John Tavares. Stamkos has always been known as a pure goal-scorer throughout his career. This season the 28-year-old had a successful comeback after missing most of the 2016-2017 campaign with a torn lateral meniscus on his right knee. He ended the regular season with 86 points and a career-high 59 assists while registering 16 points (7 goals, nine assists) in 17 playoff games. He and Nikita Kucherov became one of the most dangerous power play duos in the league. Stamkos and the Lightning are still considered one of the top contenders in the Eastern Conference. Stamkos made this top 10 due to his comeback and his important role with Tampa. They were only one win away from reaching the Stanley Cup Finals. It was mind-blowing for me not to see Claude Giroux make it on the list. He didn’t even make it to their top 20! Having his teammate Sean Couturier on NHL Network’s list made me question their rankings. Statistics put Giroux on this list because numbers never lie! The first-line centermen finished second in the league with 102 points and tied first with 68 assists. These impressive statistics made an impact when Giroux moved to center this season. No one expected him to have a career year this year and he proved a lot wrong. I agree with the NHL Network analyst putting MacKinnon in the top five. He led the Avalanche to their first playoff appearance since the 2013-2014 season and was runner-up for the Hart Trophy (NHL MVP). Last season he had a career year with 39 goals, 58 assist and 97 points. 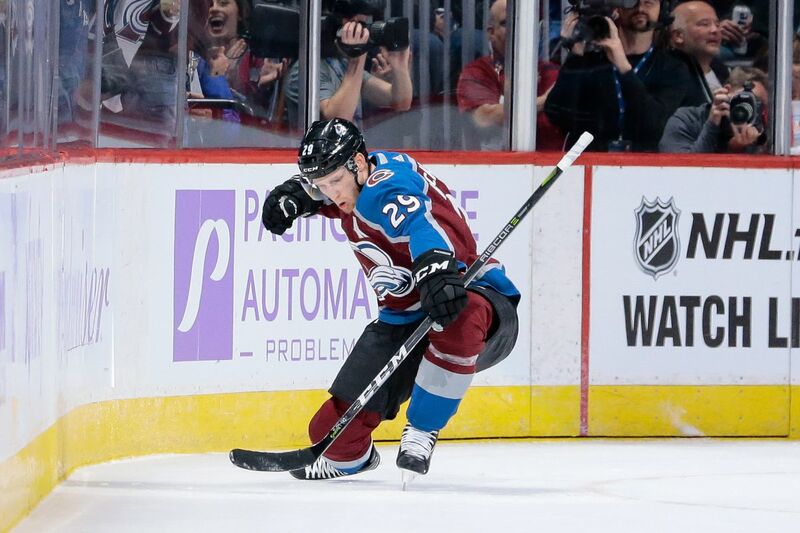 “Nate the Great” is only 22-years-old and has plenty of room to grow with the Avalanche. If he continues this form he’s up for another Hart Trophy race. 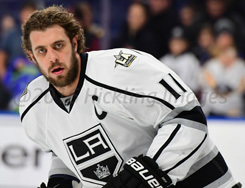 Kopitar is one of the few two-way centers that can play any role when needed. Last season he led the Kings in scoring with 35 goals, 57 assists and 92 points. He’s an impressive scorer, but the other statistics is what put him in this top five. He won the Selke Trophy (top defensive forward) and finished third for the Hart Trophy race. He also led all forwards with total ice time (1,810:58) and average ice time per game (22:05). His performance and influence for the Kings landed him in the top five. Sidney Crosby is still considered one of the best NHL players right now. Crosby posted 29 goals, 60 assists and 89 points through 82 games. 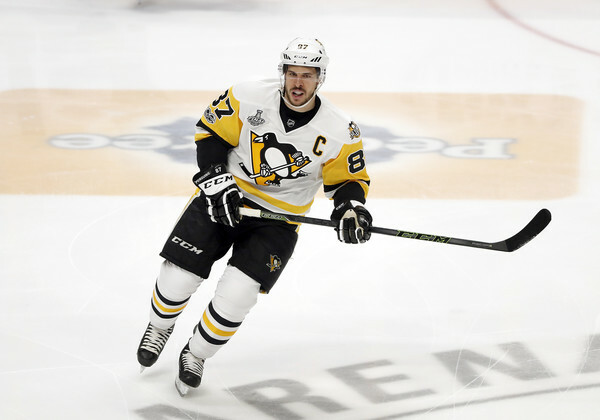 Some fans and critics expect Crosby and the Penguins to push for a third Stanley Cup victory in four seasons. Key note: The 31-year-old was also the only player in the league to be top five in goals and points. The 21-year-old is number one on this list for a reason. NHL Network and I agree with that. 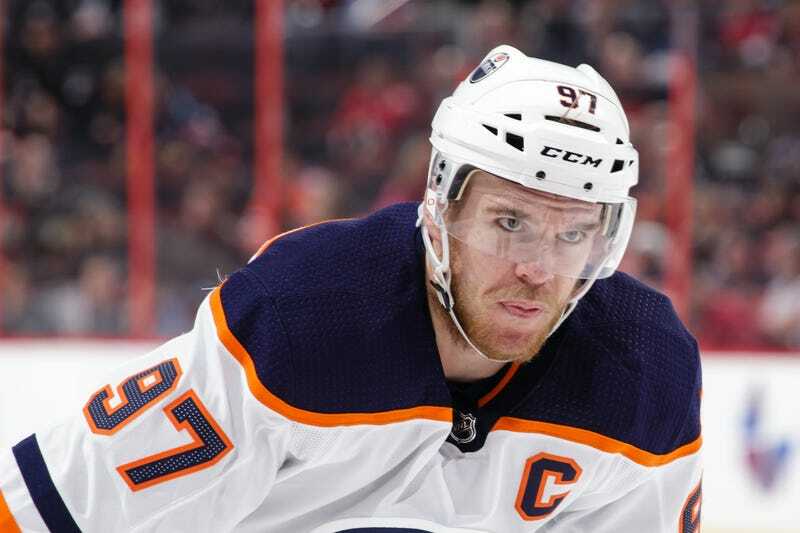 McDavid won the Art Ross (top scorer) and the Ted Lindsay (most outstanding player voted by the NHL Player’s Association.) awards back-to-back. The young captain tallied 41 goals and 67 assists for 108 points. It been fun researching and comparing these players across the NHL. My next article will be the top 10 defensemen. Let me know if you have any opinions or views of who should be your top 10 centers!